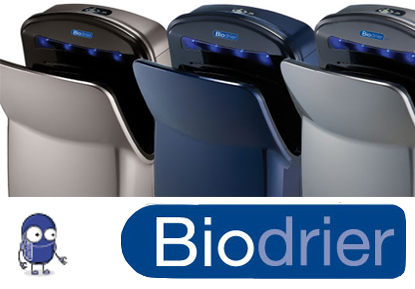 The Biodrier Business 2 creates a dual jet airflow that will dry your hands within 10 seconds. 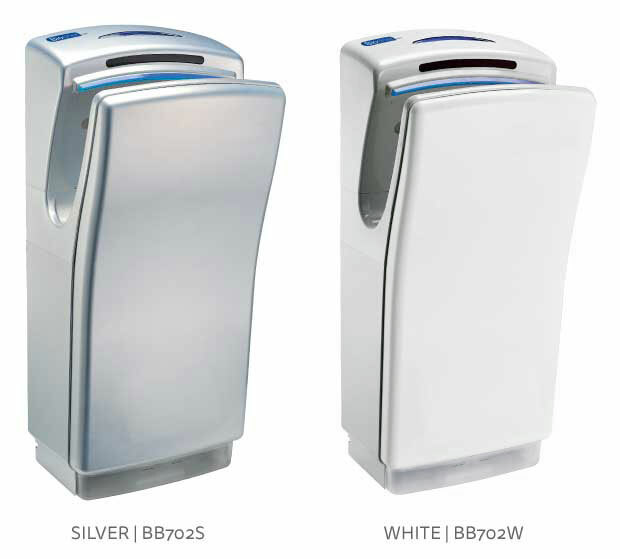 It also adopts CPU technology with a wide LED display. 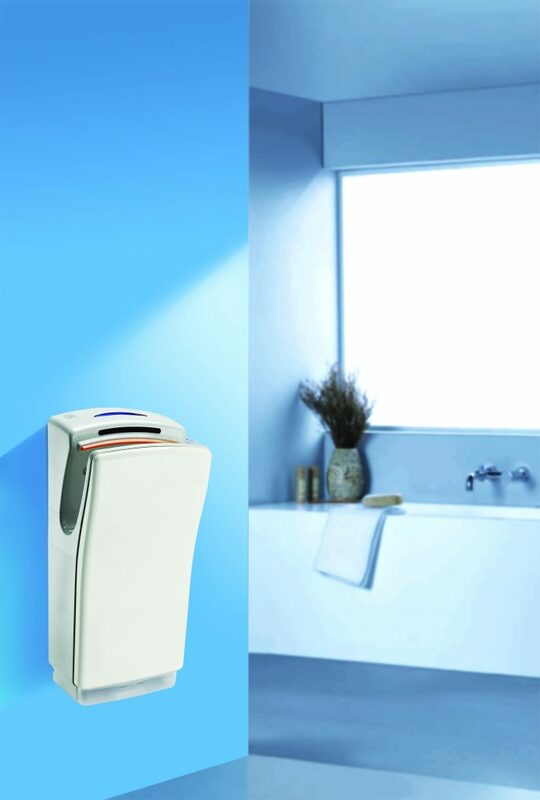 A concealed switch allows you set the unit at two heat levels 1400 watts (heater on) and 700 watts (heater off) and is fitted with Antibacterial filter and Air Freshener as standard. 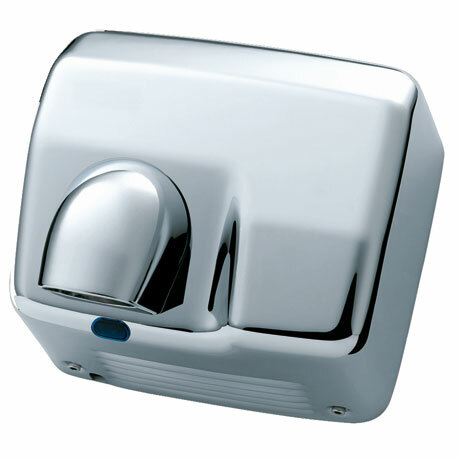 The Biodrier Business 2 is based on a simple yet powerful idea – using the heat from its own motor to provide the warm air used to dry your hands in under 10 seconds. 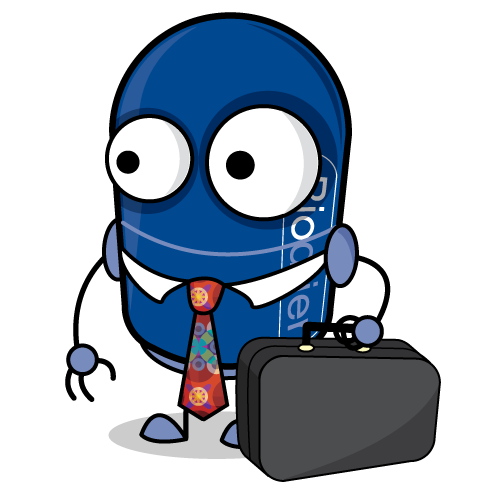 The brush-less motor saves energy as it consumes only 700 watts of power. 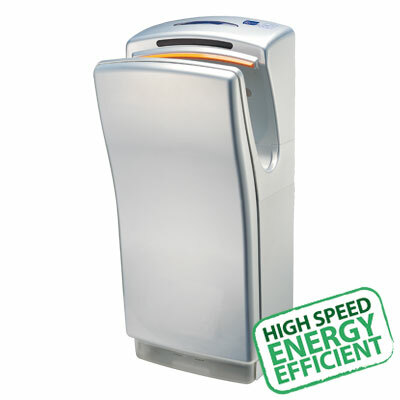 This means it uses much less power than conventional warm air hand dryers, saving you money and reducing your carbon footprint. 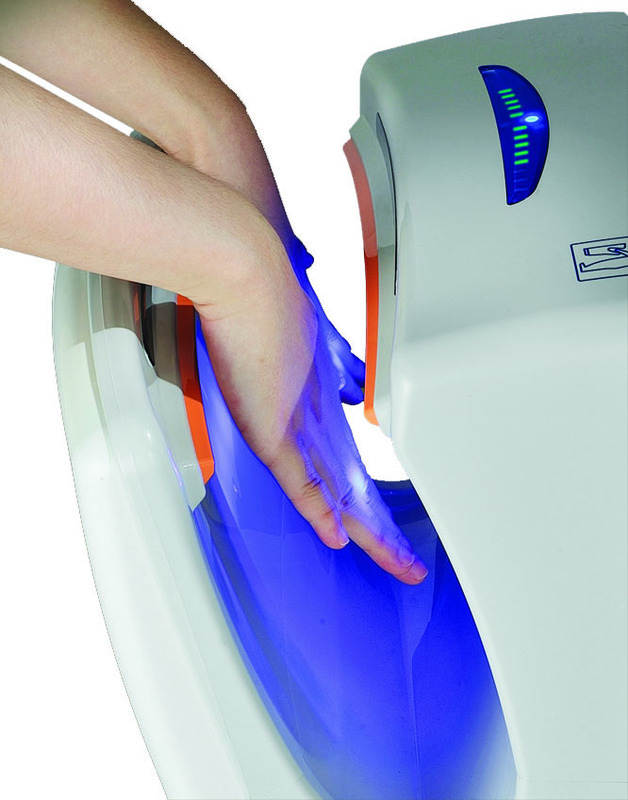 The Biodrier Business 2 uses three infrared sensors to detect hands, eliminating false or delayed hand detection, starting drying exactly when needed. 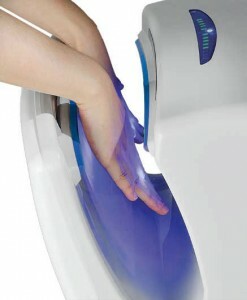 No contact is needed to activate the unit reducing bacteria transfer to the hands. Water that is blown off the hands has to go somewhere. 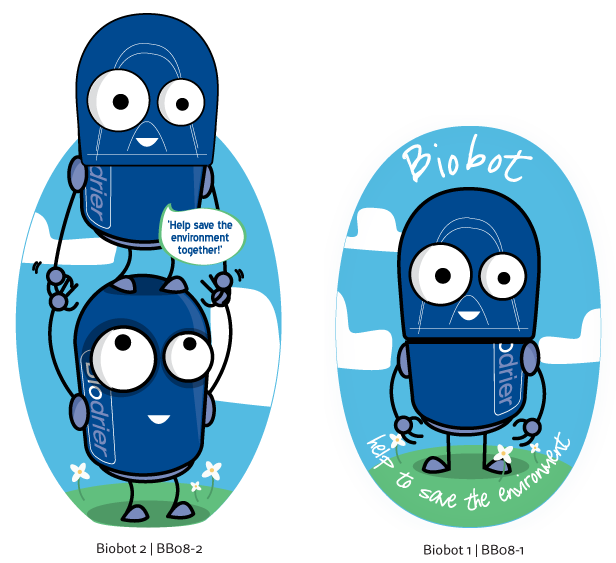 The Biodrier Business 2 collects the water in a drip tray in the bottom of the unit, which keeps the unit and surrounding area clean and safe.